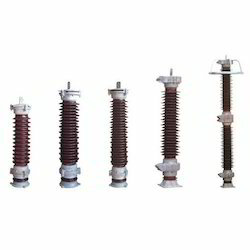 Manufacturer of a wide range of products which include lighting arrester and copper lighting arrester. We are offering a wide range of Copper Lighting Arrester. For the manufacturing of this stack fuse, we make use of the finest grade raw materials that is tested at every stage of production. Our offered product is extensively used in various industries for different electrical functions, this fuse is highly appreciated among our clients.